Crucifixtion of Graphic Design. After spending 3 years in Graphic Design school I wanted to be physical, get off the computer, not disconect my brain from my body. In this project I try trigger an unconscious state of mind, constantly trying to release control in order to explore the gesture of the body, how it navigates and interacts in a space. The endless possibilities and choices are reduced to a single consecutive sequence recorded. Sometimes the actions do become senseless and useless and other times we are in harmony, but I want to show it all, trough and crests must always be accepted and shown together. 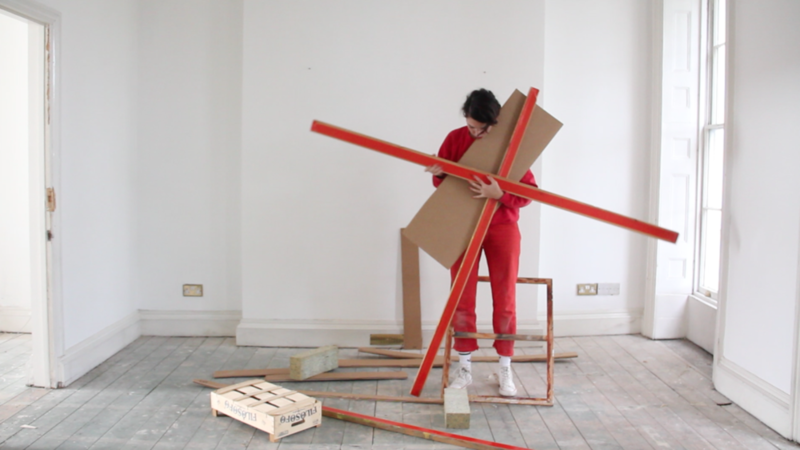 Stills from A chair, a plinth and a cardboard box video studies 01.